AmiLoaded can help you promote your offline/online business, start-up, seminar, education, tutorship etc to my targeted blog readers and you will get a good value for your money. 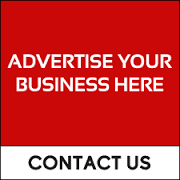 If you're interested, Advert placement is billed on a monthly basis per advert space, depending on the size of your advert banner. All Ads banner display on all post pages on the blog, except 728x90 ad banner which display on the homepage only and If you opt in for 728x90 ad banner, you will get 300x250 version of the banner displayed FREE on mobile view of the blog. . NOTE:- I can help you host the banner for FREE and if you can't create it, I can also help you create it. Not FREE! but for a FEE!., Hence you won't have to worry about bandwidth on your own server. Your ad runs on ALL Pages of the blog, including the homepage. Hello Aminat508, taking a tour on your blog, will msg u soon.